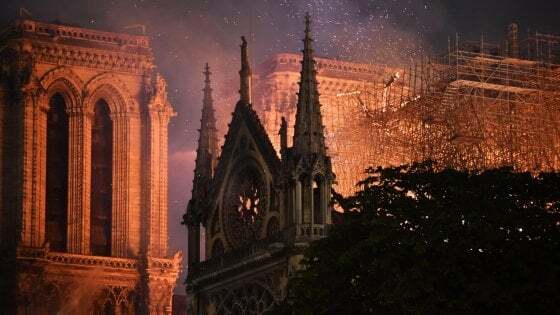 La catedral de Notre Dame después del incendio del 15 de abril. Categorías: Catástrofes, Sin categoría | Tags: Notre Dame, UNESCO | Enlace permanente. El Papa habló con el presidente Macron sobre el incendio de Notre Dame. Categorías: Catástrofes, Sin categoría, Solidaridad | Tags: Macron, Notre Dame, Papa Francisco | Enlace permanente. This article was originally published on Nov. 22, 1997. Many readers of America will have lasting memories of some cathedrals in the United States or abroad. Some may be among the thousands of pilgrims visiting Canterbury this year. It is just 1,400 years since St. Augustine arrived in Kent and became the first Archbishop of Canterbury. A number of the deepest experiences of my life have been connected with cathedrals, their bishops and services celebrated in cathedrals. To start my life as a Christian, I was baptized in Melbourne’s St. Patrick’s Cathedral. Years later as a college student I came across town to this vast, neo-Gothic building and attended the Tenebrae service one Holy Week evening. I felt deeply moved by the darkness at the end of the office and the strange sound that went up as we knocked our books on the benches. All the candles had been extinguished, the cathedral lights switched off, and we made that thudding sound with our books to symbolize our sharing in the suffering and death of Jesus. Twelve years later I returned to St. Patrick’s for a Requiem Mass. As I had not yet been ordained a priest, I could only attend the funeral for my dead father. The walk down the aisle behind the coffin with my mother on my arm, as the great bell tolled, is the longest walk I have ever taken in my life. The brightness of memory brings back many other experiences in cathedrals, such as a Mozart Mass sung in the Salzburg Cathedral for the Feast of the Assumption in the warm summer of 1964. A huge crowd packed what is one of the larger churches of Europe. Many were there because they were attending the Salzburg Festival. Before the Mass started, the Archbishop of Salzburg said: “A good number of you have come to hear Mozart, and you are most welcome. All I ask is that you respect all those who are here also because they want to attend Mass and pray.” The Archbishop set the right tone and helped to make that feast day a time of deep devotion and joy. In the 1970s I began spending summer vacations doing pastoral work and some writing in the city of Nuremberg in southern Germany. From there I would take the train to nearby Bamberg, whose marvelous cathedral is crammed with sculptured treasures. Right in front of the main altar is the tomb of a German king who as Henry II was Holy Roman Emperor from 1002 to 1024. A moving masterpiece, this tomb of St. Henry and his wife, St. Cunigund, was created by Tilman Riemenschneider (d. 1531). The artist sided with the peasants in the revolt of 1524-26 and suffered terrible personal consequences from their defeat: His hands were broken and he could never work again. Whenever I visit that cathedral, I climb the hill beyond to the ancient Benedictine monastery of St. Michael. A pint of the monks’ unique, smoked beer creates the right atmosphere for pondering the whole wonderful and painful span of German history, including its philosophy. Within sight of the Bamberg cathedral, the philosopher Georg Hegel finished writing The Phenomenology of Spirit; he went on to exert enormous influence through his dialectical, evolutionary idealism. Cathedrals can be places of darkness as well as light, places where people are killed as well as born into new life through baptism. Though armies trample over it, though sightseers come with guide-books looking over it. Unlike St. Thomas of Canterbury, some recently martyred bishops have been killed away from their cathedrals. In March 1996 Bishop Pierre Claverie wrote in the bulletin for the Diocese of Oran: “There is no life without love. There is no love without letting go every possession and giving oneself.” Five months later he came home to Oran from a memorial service for seven Trappist monks murdered elsewhere in Algeria. He and his driver Mohammed were suddenly killed when a bomb exploded next to his house. The following month, on Sept. 9, 1996, Archbishop Joachim Ruhuna was ambushed along a road in Burundi and killed together with two nuns who were travelling with him. Their “crime” was that of staying on in the country and working to reconcile people who hate each other even to the point of genocide. Less than two months later, during the night of Oct. 29-30, in eastern Zaire the 70-year-old Archbishop of Bukavu was murdered near his cathedral. As a good shepherd, Archbishop Christophe Munzihirwa Mvene Ngabo had stayed with his flock, working for the refugees and pleading for reconciliation between the warring parties. Cathedrals focus the faith of the local community, especially when people gather with their priests and other ministers around the bishop who celebrates the Eucharist. Early this year, on Feb. 4, 1997, Bishop Benjamin de Jesús was gunned down outside his cathedral on the island of Jolo in the Philippines. He had worked tirelessly to encourage support for the peace agreement between the state and the Muslims. Back in 1980, Archbishop Oscar Romero was killed when saying Mass, but not in his cathedral. He was celebrating the liturgy in the chapel of San Salvador’s Hospital of Divine Providence. Like St. Thomas of Canterbury these five bishops suffered martyrdom; but, unlike him, not one of them died inside his cathedral. Pope John II came to Canterbury in 1982; Cardinal Carlos Martini of Milan spent a Sunday there three years ago and preached in the cathedral. Pilgrims coming for this year’s celebration will be vividly reminded of Becket through an exhibition that opened inside Canterbury Cathedral last April. The exhibition features St. Thomas’s mitre, one of his shirts and fragments of his physical remains. This is the first time since the Reformation that relics of the saint have been shown in Canterbury Cathedral. Chaucer found the point of arrival for his pilgrims, and T. S. Eliot an extraordinarily dramatic theme in Canterbury. They were not alone among writers in being lured to cathedrals. Paul Claudel in Paris praised the moment during the singing of the Divine Office in the Cathedral of Notre Dame when his heart was touched and he believed. It was Christmas Day 1886, and in the crowded congregation he was standing near the second pillar, at the entrance to the choir, on the right, and at the side of the sacristy. It was a moment of light and conversion that Claudel located very precisely and remembered forever. 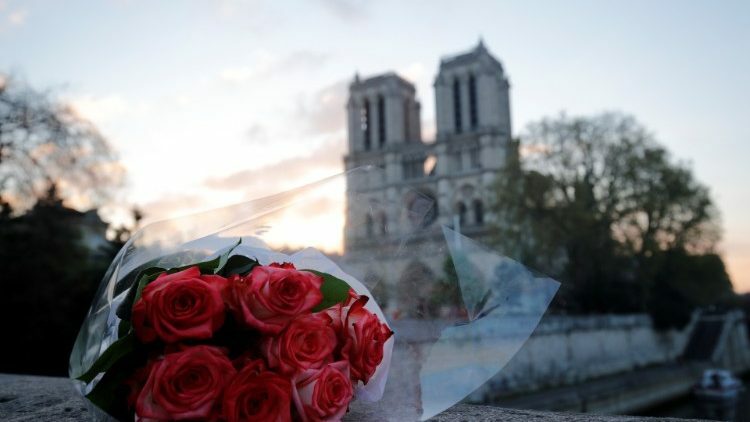 For better or worse, the history of Notre Dame has been the history of France and French literature. In 1793 at the height of the French Revolution, a popular dancer from the opera was enthroned there as the Goddess of Reason. In a scene of 1804 from Notre Dame immortalized by the greatest painter of the radical neoclassical school, Jacques Louis David (1748-1825), Napoleon, who has just crowned himself, places the empress’s diadem upon Josephine’s head, while Pope Pius VII looks on. In this painting David illustrated the apogee of Napoleon’s self-made rise to the imperial purple. 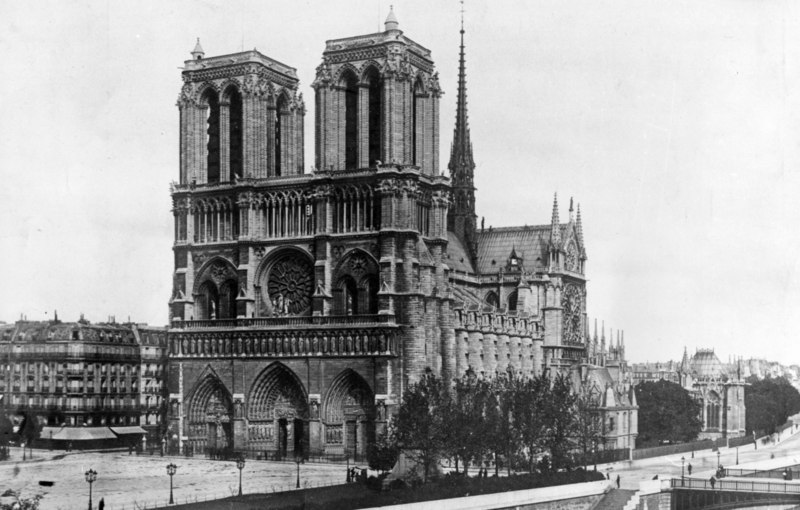 For better or worse, the history of Notre Dame has been the history of France and French literature. With his novel Notre-Dame de Paris, Victor Hugo (1802- 85) launched a campaign that culminated in the restoration of the cathedral. The Hunchback of Notre Dame has deserved its enduring success and all the efforts of Lon Chaney, Charles Laughton and Anthony Hopkins to hunker down in the bellringer’s archetypal stoop. Hugo changed for all time the image of a deaf-mute hunchback: no longer some kind of resident, gargoyle-like demon. Quasimodo became the soul of the cathedral. To the southwest of Paris, Chartres Cathedral is less than 60 miles distant. It has always inspired superlatives. A descendant of two American presidents, Henry Adams (1838-1918), wrote in Mont-Saint-Michel and Chartres: “If you want to know what churches were made for, come down here on some great festival of the Virgin and give yourself up to it; but come alone! That kind of knowledge cannot be taught and seldom be shared.” Charles Péguy (1873-1914), who died at the front in the opening weeks of World War I, through his poetry helped to make Chartres Cathedral the goal of modern pilgrims. English writers have sometimes chosen cathedrals for their themes and even as their protagonists. One thinks of Anthony Trollope (1815-82) in Barthester Towers, and The Spire by William Golding (1911-95). Golding’s choice of theme was no accident; for years he taught classics at a school in the cathedral close at Salisbury. During the time that Susan Howatch was developing her six Starbridge novels about the Church of England in the 20th century (from Glittering Images, which was set in 1937, to Absolute Truths, which takes the reader to 1968), she lived in an apartment overlooking Salisbury Cathedral. In these novels Howatch wrote of Starbridge Cathedral and its diocese. Combining theology with psychology, she drew on the writings of several bishops of the Church of England, including John Robinson, the author of Honest to God (1963). Through the use of this and other books, Howatch blended Salisbury Cathedral into her Starbridge series. Cathedrals express our solidarity with the universal church: with those who worship in the cathedrals of Ireland and Italy, of England and Gennany, of France and the Philippines. Talking of Salisbury Cathedral could remind us of two English painters who were attracted to the highest spire of any church in England. It is not simply that the spire rises up 404 feet; the setting of that cathedral in a flat countryside displays it for many miles around, J. M. W. Turner (1775-1851) drew and painted Salisbury Cathedral; and his contemporary, John Constable (1776-1837), made it the subject of a number of his finest works. Constable’s paintings of the water meadows beside the river Avon, showing the graceful spire rising above them, image forth England at its most tranquil. Painters have immortalized cathedrals everywhere, not least Claude Monet (1840-1926). He caught and interpreted the transfiguring effects of light as it played on the hazy façade of the Rouen Cathedral in the early morning, at mid-day and toward sunset. Henri Matisse (1869-1954) and other painters have not neglected Notre Dame in Paris; sometimes their studios allowed them to enjoy a constant vision of the cathedral. St. Mark’s Basilica, the Cathedral of Venice, has gathered in painters galore. Turner made it the background of his “Juliet and her Nurse,” while the works of Antonio Canaletto (1697-1768), with their handling of perspective and control of color, have shaped the way we now see St. Mark’s and Venice itself. I have been praising cathedrals, sampling those who have celebrated them and recalling those bishops whose heroic leadership of their dioceses brought them to a violent death. Cathedral, as most readers will know, comes from a Latin word that has been taken over from a Greek word with the same meaning, cathedra, or “chair.” Here it refers to the chair on which the bishop sits and from which he exercises his role as teacher, pastor and chief celebrant of liturgical services for the whole diocese. The bishop’s chair is the object in a cathedral that symbolizes the handing on to the diocese of the faith in Jesus Christ that comes to us from the Blessed Virgin Mary, the Twelve Apostles, St. Mary Magdalene. St. Paul and the other first Christians. For hundreds of years cathedrals have fostered a horizontal commitment to all our brothers and sisters and a vertical commitment to the loving God. The Second Vatican Council has left us a lovely paragraph about cathedrals being the central churches of their dioceses. Cathedrals focus the faith of the local community, especially when people gather with their priests and other ministers around the bishop who celebrates the Eucharist. In bringing us the presence of the crucified and risen Jesus, the Eucharist does something suggested by the shape of numerous cathedrals. Many, if not most, cathedrals take the shape of the cross on which Jesus died for us. The long, central nave evokes the upright stake of the cross, while the two transepts recall the cross-beams to which Jesus’ arms were fastened. Besides focusing the faith of the local community, cathedrals also express our solidarity with the universal church: with those who worship in the cathedrals of Ireland and Italy, of England and Gennany, of France and the Philippines. Cathedrals obviously belong to particular cities and localities, but they also manifest our unity with Catholics and Christians everywhere. It is a providential fact that cathedra or chair is a Latin word that was borrowed from the Greek. In its own way those Latin and Greek words express what Christians and their cathedrals should always work for: a living union between all believers, both in the Latin church of the West and the Greek church of the East. Cathedrals display an unending variety in their balance between the horizontal and the vertical. Both architecturally and spiritually we need these horizontals and verticals. From cathedrals people draw their energy to change the world around them. But the same cathedrals also exist for a vertical purpose: to let the silent, holy moment of the divine presence in Jesus Christ come down to us and come home to us. For hundreds of years cathedrals around the world have worked to foster a horizontal commitment to all our brothers and sisters and a vertical commitment to the loving God revealed in Jesus Christ. May our great cathedrals continue to do that into the next millennium and for all the centuries to come. Categorías: Catástrofes, Sin categoría | Tags: America latina, Notre Dame | Enlace permanente. Categorías: Catástrofes, Sin categoría | Tags: Poupard | Enlace permanente. 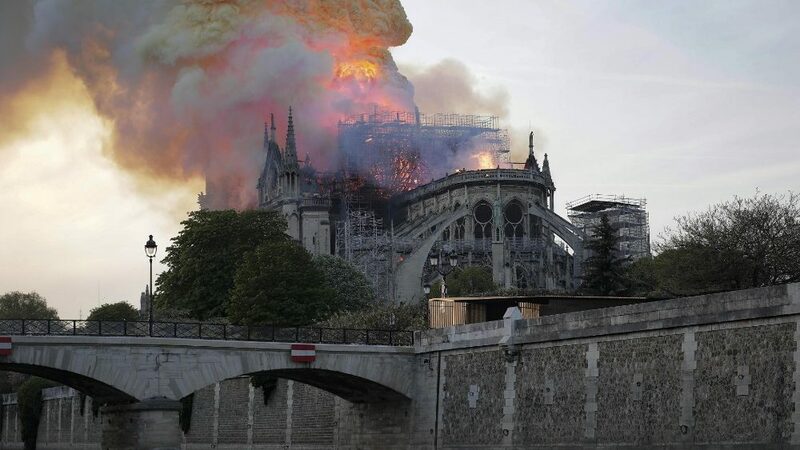 Después del incendio de Notre Dame. Reacciones. 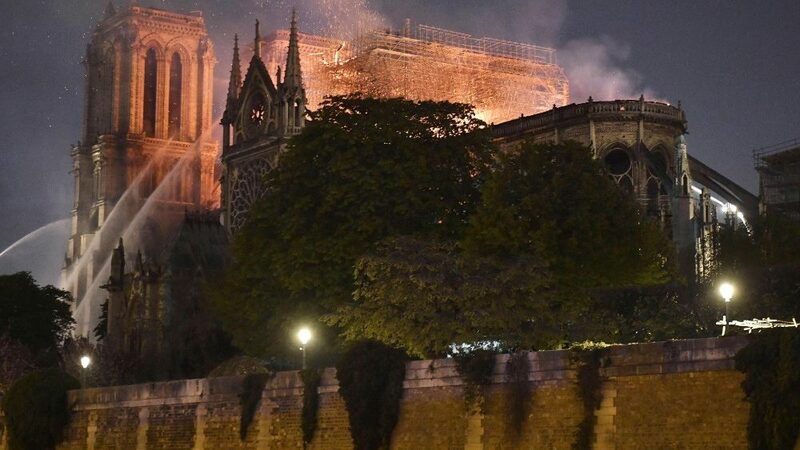 PARIGI – L’incendio che ha devastato il tetto della cattedrale di Notre-Dame è stato domato all’alba, intorno alle 5 del mattino: 400 uomini dei vigili del fuoco parigini, dopo ore di lavoro, sono riusciti a spegnere le fiamme e anche se ci sono ancora focolai residui il portavoce dei pompieri ha assicurato che la situazione è sotto controllo. La grande guglia e il tetto sono andati distrutti mentre la struttura della cattedrale “tiene bene”, ha spiegato il sottosegretario all’Interno, Laurent Nunez, dopo che in mattinata sono stati fatti i primi controlli. “Nel complesso, la struttura tiene” ma “alcune vulnerabilità sono state identificate in particolare a livello della volta e di un timpano del transetto nord che deve essere messo in sicurezza”, ha detto. 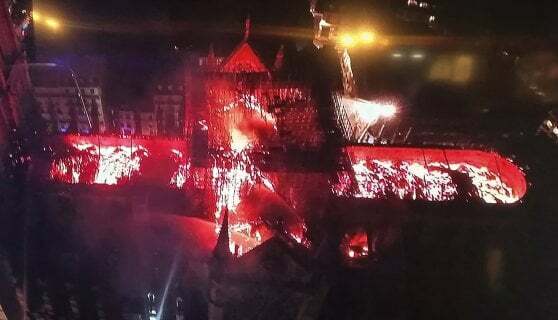 Nunez ha anche rivelato un particolare sulla dinamica dell’intervento dei vigli del fuoco: la partita per il salvataggio della Cattedrale, ha raccontato, si è giocata in 15-30 minuti grazie all’azione corale di 20 pompieri che, rischiando la vita, sono entrati nelle due torri della cattedrale per affrontare le fiamme dall’interno. 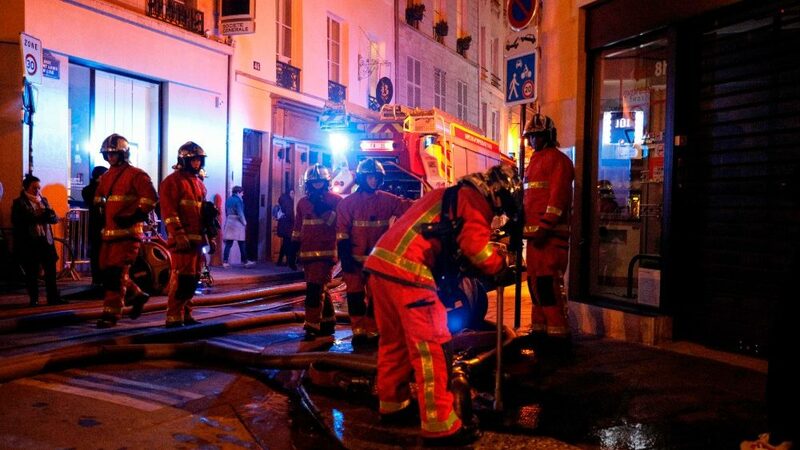 Il lavoro incessante dei vigili del fuoco è riuscito comunque a mettere in salvo tutte le opere d’arte, anche quelle presenti nel tesoro della Cattedrale, che sono state trasferite nella notte all’Hotel de Ville, la sede del comune di Parigi. Saranno portate al Louvre già oggi o mercoledì: la Sacra Corona di Spine, quella che secondo la tradizione cattolica i soldati romani misero sul capo di Gesù per schernirlo poco prima della sua Crocifissione, un pezzo della Croce e un chiodo della Passione di Cristo. “Le due torri e le opere sono state messe al sicuro, in particolare il Tesoro, grazie al coraggio dei vigili del fuoco di Parigi. La Corona di Spine, la tunica di San Luigi sono ora custoditi nel municipio della capitale. L’organo è stato chiaramente leso, i grandi dipinti teoricamente hanno subito danni a causa dell’acqua. Bisognerà restaurarli”, ha spiegato Riester. “Bisognava tirarli fuori, in mezzo al fumo, tra pezzi di materiale incandescente che cadevano e proteggerli da tutto questo”, ha raccontato il generale Jean-Claude Gallet, comandante di brigata dei vigili del fuoco, spiegando le difficoltà aggiuntive che i pompieri si sono trovati ad affrontare. Le opere che non si è riusciti a portare fuori sono state messe al riparo dall’acqua che scendeva dall’alto. La procura di Parigi ha aperto un’indagine per danneggiamento colposo, escludendo cioè il movente criminale, l’atto vandalico o quello terroristico. “Niente va nella direzione di un atto volontario”, ha detto il procuratore di Parigi, Rémy Heitz, facendo il punto con la stampa sull’inchiesta. Heitz ha spiegato che ai lavori di restauro stavano partecipando “cinque società” e che stamani sono iniziati gli interrogatori dei dipendenti di queste aziende. Ieri, nel cantiere della cattedrale, erano presenti “quindici operai”, che verranno ascoltati. Il procuratore ha spiegato che “c’è stato un primo allarme alle 18.20, seguito da una procedura di accertamento, ma non è stato constatato alcun principio di incendio”. Un secondo allarme è scattato “alle 18.43 e in quel caso è stato constatato un incendio a livello della struttura di legno che sosteneva il tetto. Intanto, la chiesa era stata evacuata perché poco prima era cominciata una messa”. 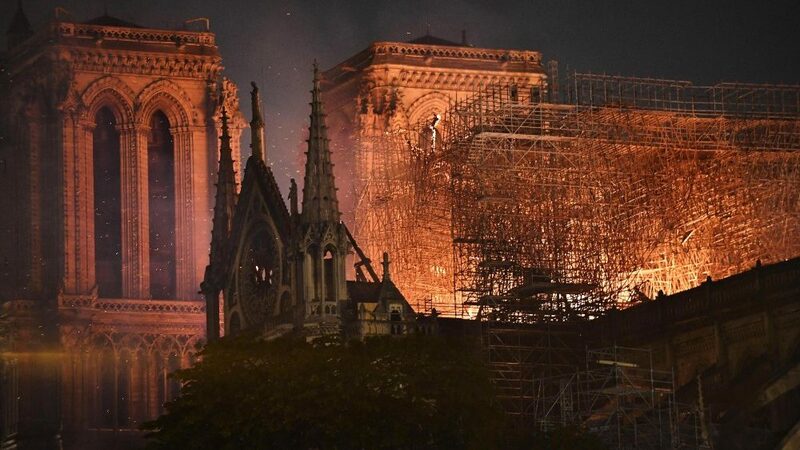 L’ipotesi su cui si lavora è che l’incendio sia divampato dal tetto di Notre-Dame, sottoposto a lavori di ristrutturazione, poco prima delle 19 di lunedì. Le Parisien, citando una fonte di polizia, ipotizza che il primo focolaio sia stato causato da lavori di saldatura sul telaio di legno. Ma le indagini saranno lunghe e complesse, fanno sapere gli inquirenti: il tetto è difficile da raggiungere, circondato dalle impalcature che erano state impiantate per il progetto di ristrutturazione avviato nell’estate del 2018. 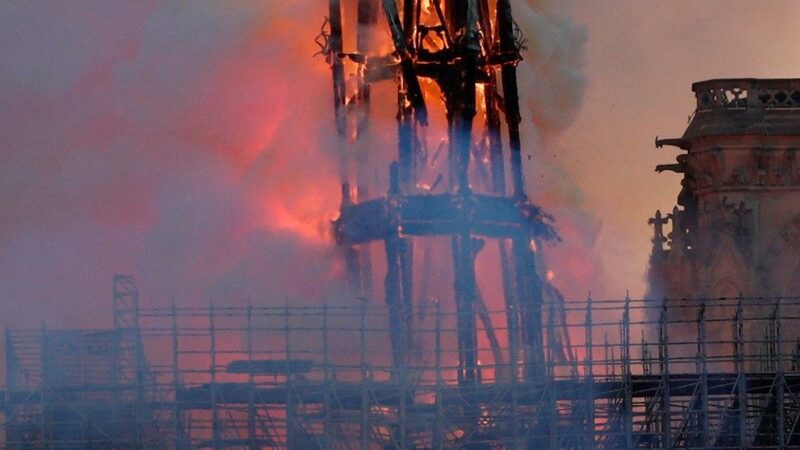 Il portavoce della Cattedrale ha raccontato che, al momento dello scoppio delle fiamme, intorno alle 18:30, tutti gli operai avevano lasciato il sito. 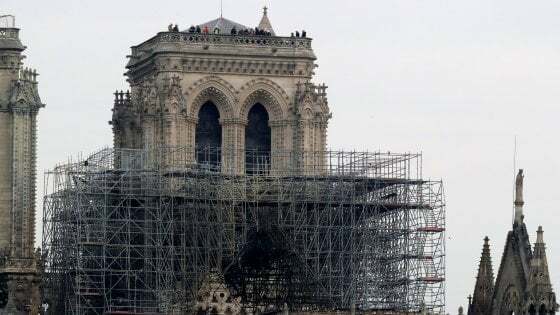 Ai lavori partecipano oltre una decina di aziende che operano sotto la responsabilità della sovrintendenza architettonica dei monumenti storici e dello Stato, proprietario della cattedrale. Gli addetti saranno tutti interrogati per cercare di capire se un errore umano possa essere all’origine della tragedia. La “ricostruiremo”, ha promesso un emozionato Emmanuel Macron in un discorso tv ai francesi lunedì sera. E la riposta dei francesi non si è fatta attendere. Il gruppo del lusso Lvmh ha annunciato una “donazione” di 200 milioni di euro al fondo dedicato alla ricostruzione della Cattedrale. “La famiglia Arnault (proprietaria del gruppo che controlla tra gli altri Fendi e Bulgari, ndr) e il gruppo Lvmh, in solidarietà con questa tragedia nazionale, si uniscono alla ricostruzione di questa straordinaria cattedrale, simbolo della Francia, del suo patrimonio e della sua unità”, scrivono in una dichiarazione inviata all’Afp. La famiglia Pinault, a capo di Kering, il gigante del lusso che controlla tra gli altri Gucci e Balenciaga, ha risposto all’appello e ha annunciato la donazione di 100 milioni di euro. Anche la Total ha annunciato una donazione speciale di 100 milioni di euro, 200 milioni invece sono stati promessi da Bettencourt e l’Oréal. In tutto, alle 3 del pomeriggio, le donazioni da parte di grandi aziende e famiglie facoltose hanno già superato i 600 milioni di euro. L’Ile de France, la regione di Parigi, ha stanziato 10 milioni di euro e domenica sera su France 2 verrà organizzato un grande concerto per la raccolta fondi. Ma la solidarietà arriva anche dagli Stati Uniti: la French Heritage Society, un’organizzazione che ha sede a New York, dedita proprio alla conservazione dei tesori architettonici e culturali francesi, ha lanciato una pagina web di raccolta fondi. E già lunedì sulla piattaforma di crowdfunding Go Fund Me sono state create in tutto il mondo più di 50 pagine ispirate dal terribile incendio. La lista di Macron ha sospeso “fino a nuovo ordine” la campagna elettorale per le europee, ha annunciato la capolista, Nathalie Loiseau, a causa dell’incendio a Notre-Dame. “Viviamo un momento di profonda tristezza. La lista Renaissance si unisce naturalmente a questo momento di unione nazionale. Sospendiamo la campagna elettorale fino a nuovo ordine”, ha spiegato Loiseau su Twitter. Il presidente del Consiglio europeo, Donald Tusk, ha chiesto a tutti i 28 Stati membri dell’Unione europea di contribuire alla ricostruzione, intervenendo alla sessione del Parlamento europeo a Strasburgo. “Anche voi ricostruirete la vostra cattedrale”, ha detto Tusk ricordando come la sua città natale, Danzica, venne ricostruita dopo la distruzione subita nella Seconda Guerra Mondiale. L’incendio che ha devastato Notre-Dame rappresenta “un dolore nel cuore dei russi”, ha dichiarato il presidente russo Vladimir Putin. Papa Francesco ha invitato tutti a partecipare alla ricostruzione della Cattedrale e il Vaticano ha messo a disposizione il suo “know-how per il restauro”. Il fuoco ha “colpito un simbolo caro ai francesi nella diversità di convinzioni”, ha detto Francesco, rivolgendo un appello alla “mobilitazione di tutti” per la cattedrale, “il gioiello architettonico di una memoria collettiva”. Il presidente francese Emmanuel Macron parlerà nel pomeriggio con papa Francesco, ha fatto sapere l’Eliseo. 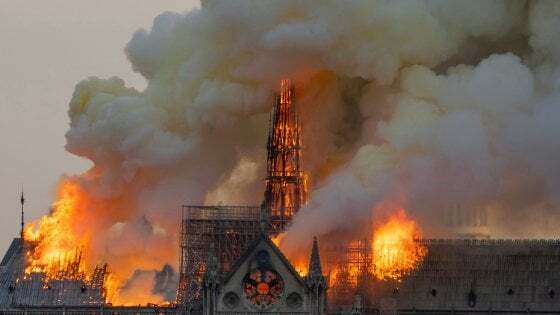 “Salutando il coraggio e il lavoro dei vigili del fuoco, che sono intervenuti per contenere il fuoco, esprimo la speranza – prosegue il Pontefice – che la cattedrale di Notre Dame possa diventare, grazie al lavoro di ricostruzione e la mobilitazione di tutti, questo splendido gioiello nel cuore di la città, un segno della fede di coloro che l’hanno edificata, Chiesa madre della vostra diocesi, patrimonio architettonico e spirituale di Parigi, della Francia e dell’umanità”. Papa Francesco ha inviato un telegramma all’arcivescovo di Parigi, monsignor Michel Aupetit. 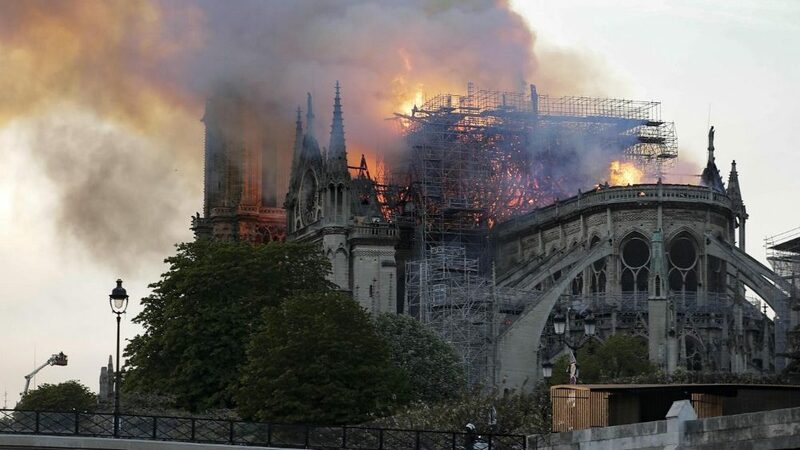 “Il Papa è vicino alla Francia, prega per i cattolici francesi e per la popolazione parigina sotto lo shock del terribile incendio che ha devastato la cattedrale Notre Dame. Assicura le sue preghiere a tutti coloro che si sforzano di affrontare questa drammatica situazione”, ha spiegato il direttore della Sala Stampa Vaticana Alessandro Gisotti. 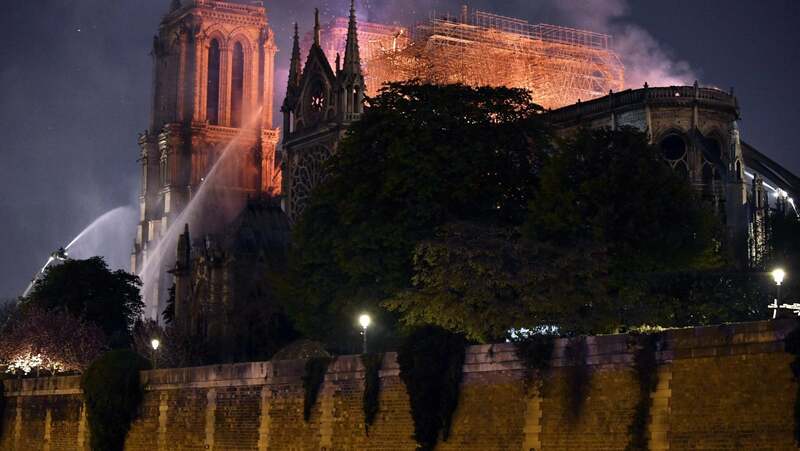 Categorías: Catástrofes, Incendio, Sin categoría | Tags: Conferencia de París, Notre Dame | Enlace permanente. 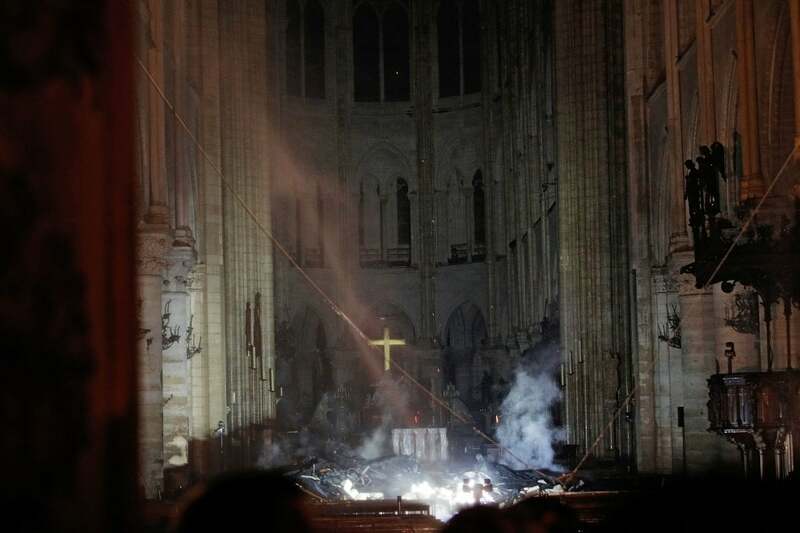 Nota de la conferencia episcopal de Francia sobre el incendio de Notre Dame. Categorías: Catástrofes, Sin categoría | Tags: Notre Dame | Enlace permanente. 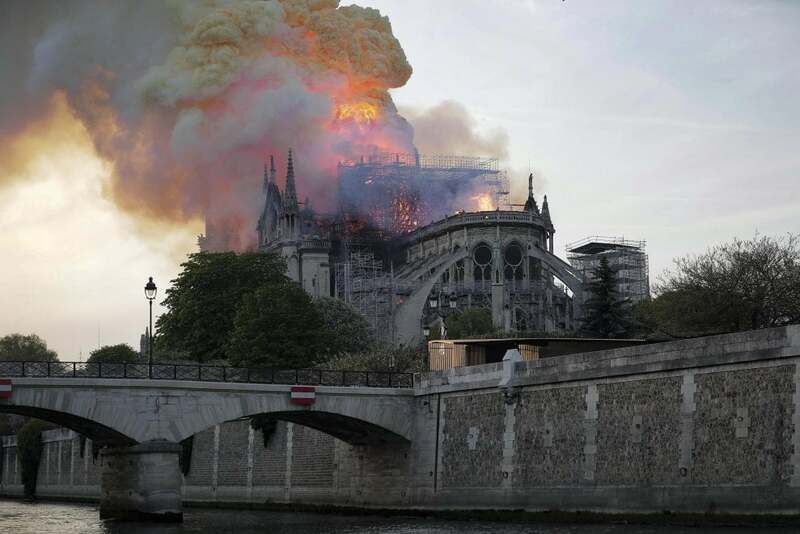 Sentimiento en la Santa Sede por el incendio en Notre Dame de París. Categorías: Catástrofes, Sin categoría | Tags: Conferencia de París, Notre Dame | Enlace permanente.